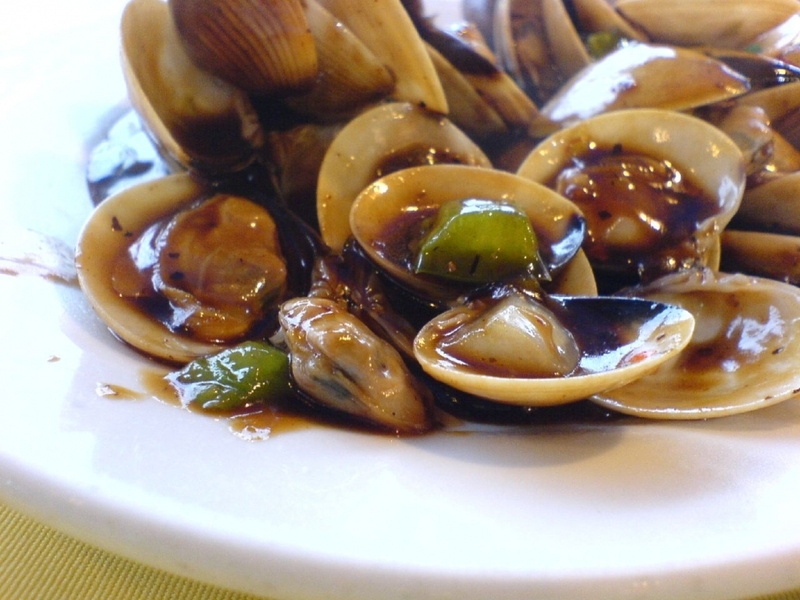 In this recipe you will learn how to cook clams quickly and easily. You will need about a pound of clams and they will have to be cleaned before you steam them. This is a very simple recipe using white wine, garlic and butter. Heat a large saucepan over medium heat and add 1 tablespoon of butter. When the butter has melted, add 1 teaspoon of minced garlic. Cook the garlic until it is tan in color. Be careful not to overcook the garlic! Pour the clams into the saucepan, only enough to cover the bottom of the pan and stir until the clams are well coated with garlic and butter. Add 1/4 cup white wine for every 10-12 clams. Cover the saucepan with a lid and let the clams steam for about 3 to 4 minutes. Any clams that did not open during steaming must be discarded. Clams only open when they are cooked all the way through and any that are left closed may be bad quality and should not be eaten. Clams are a healthy and delicious meal option. Not only do clams provide more iron than beef, they also provide the minerals phosphorus, potassium, zinc, copper, manganese and selenium. Talk about packing a punch! Clams are very low on health concerning contaminants and contain far less amounts than their cousins, the scallop and the oyster. In only a three ounce serving of clams there is over twenty grams of lean protein and less than two grams of fat.Clams can be served in their own natural juice that is secreted in the steaming process along with some gourmet bread to soak up the juice. You can also serve them by themselves along with some steamed vegetables or serve them over pasta. Be creative! Clams are a very versatile dish. Here’s to another Fantastic meal!